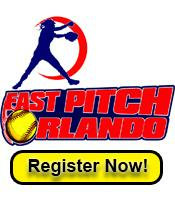 Why "Fast Pitch Orlando"? Please give us a shot. You will like what you get. 1. More economical. We are independent and have less over head. We do not claim we will be perfect or better than anyone else, but we will be proactive to improve any areas where needed to make sure your players and families have a great experience.